London- A jailed UK-Iranian mother launched a hunger strike Monday over a lack of medical care and attempts by Tehran to force her to spy on Britain, her husband said. The high-profile case prompted UK Foreign Secretary Jeremy Hunt to summon the Iranian ambassador to demand that Nazanin Zaghari-Ratcliffe be given “immediate access to the healthcare she requires”. “Her ongoing detention is TOTALLY unacceptable and her treatment at the hands of Iranian authorities is a fundamental breach of human rights,” Hunt tweeted. Zaghari-Ratcliffe, 40, was arrested in April 2016 as she was leaving Iran after taking her infant daughter to visit her family. Her hunger strike was to last for an initial period of three days, and could be extended if she fails to win assurances of proper medical attention. 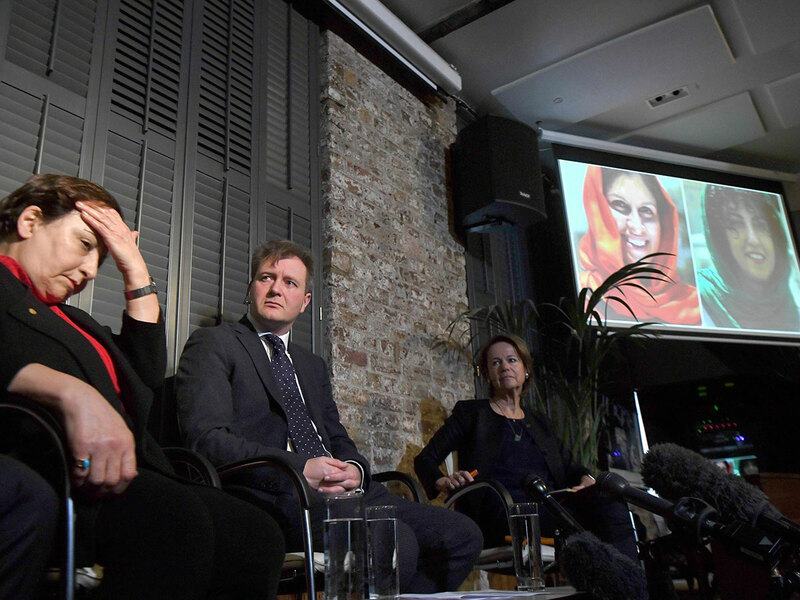 She was joined by Iranian human rights activist Narges Mohammadi, who was arrested in 2015 and jailed for 10 years for “forming and managing an illegal group”, among other charges. A project manager with the Thomson Reuters Foundation, the media group’s philanthropic arm, Zaghari-Ratcliffe was sentenced to five years in September 2016 for allegedly trying to topple the Iranian government. She denies all charges against her. Zaghari-Ratcliffe’s husband, Richard Ratcliffe, said his wife’s condition has deteriorated despite her detecting a lump in her breast and complaining of numbness in her arms and legs. Thomson Reuters Foundation chief executive Monique Villa called her treatment “slow and cruel torture”. But Ratcliffe said “what really pushed her over the edge” was an interrogation on December 29 during which Iran’s Revolutionary Guards made her release conditional on her spying on Britain. “She clearly didn’t want to say yes, and they didn’t want to hear a no, so she was told to think about it. They have never come back,” he told reporters in London after speaking to his wife by phone earlier Monday. Ratcliffe said it was important for his wife’s release to be unconditional, so that “we don’t get left with this leverage over her family” in Iran. Hunt confirmed that he would be meeting later Monday with Ratcliffe, who is trying to secure “diplomatic protection” for his wife - a status that requires Iran to allow British diplomats to check on her condition. Tehran refuses to recognise Zaghari-Ratcliffe’s UK citizenship and is treating her detention as a domestic matter. Zaghari-Ratcliffe’s detention has received broad attention in Iran, which marked her 1,000 days in jail by broadcasting a film featuring previously unreleased footage of her arrest at Tehran airport. It was shown as part of a multi-series documentary on “enemies’ interference in domestic affairs. Ratcliffe said he believed there was an internal struggle within Tehran about how best to deal with Zaghari-Ratcliffe and other detained dual nationals. “It’s the first time she’s received a visit from interrogators for over a year,” he said. There is “a part that wants to solve the issue of Nazanin and other dual nationals, and a part that wants to stand its ground and show it’s tough and strong against the rest of the world,” Ratcliffe said.